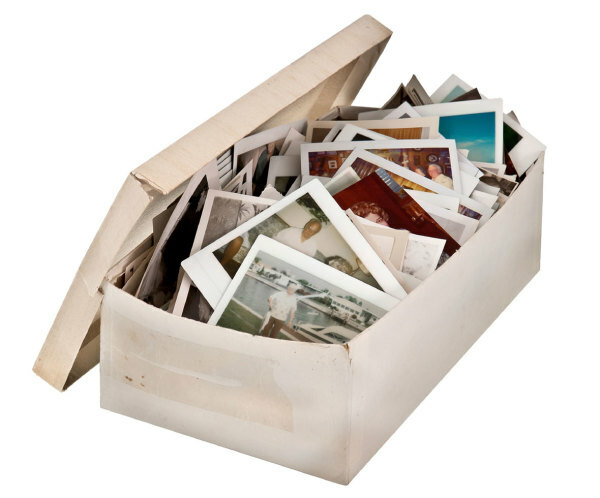 Shoebox Legacies uses the fastest photo scanning equipment available today. Our Kodak PS80 photo scanners can scan up to 85 photos per minute – that kind of speed means our photo technician can scan all of your photos in a couple of hours. We’re in and out and you can get on with your life. All our photos are scanned at 300, 600, or 1200 dpi (dot per inch) – the exact specification given by industry leading document imaging specialists. At 300 dpi your digital photo can be printed at the exact size and quality of your original photo. Once our photo scanning technician has scanned your photos, you are given a flash drive or DVD that contains all of your newly scanned photos. All photos are stored in .jpg format at a resolution of 300, 600, 1200 dpi. You can copy the disk onto your hard drive or external back up devices for safe keeping.